Bitter Girl Bitters and Petaluma Drinks! Erin Elizabeth Hines, maker of Bitter Girl Bitters and Lorraine Barber, organizer of Petaluma Drinks, are our guests with Steve Jaxon, Mark Carpenter and Herlinda Heras. Petaluma Drinks will take place June 2-3, 2018. Lorraine Barber gives an overview of the event. Her company Barber Cellars produces wine and they have a tasting room in Petaluma. They like all the local craft beer production that is flourishing there now and they wanted to think of a way to promote it all. There will be beer, cider, wine, port, anything that is fermented. Participants include 101 North Brewery, Henhouse Brewery and Lagunitas and also Wilibees will have some coordinated tastings too. Erin Elizabeth Hines produces Bitter Girl Bitters, which she describes: “Bitters are a concentrated flavor additive that bartenders use. 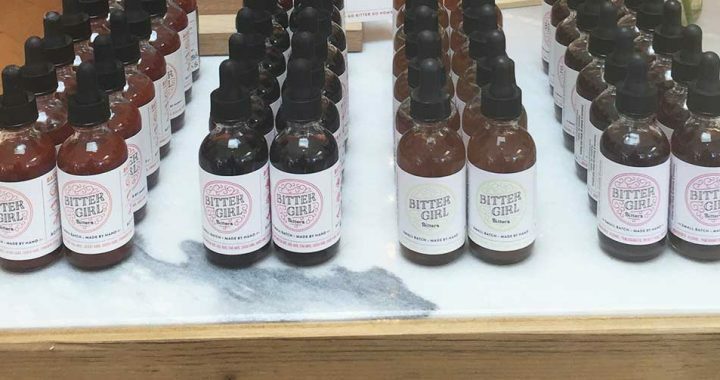 They began as a medicinal product and developed into something much more fun.” She has been producing these bitters for 5 years now. She also works at Spirit World. After the break they taste an Imperial Stout from 101 North, brewed in Petaluma, and a Henhouse Oyster Stout, before Herlinda Heras describes a series of upcoming events and special tastings at Wilibee’s. Lorraine Barber describes Petaluma Drinks as a tasting event, rather than a big party, and the focus is on the quality and variety of all the fermented beverages produced locally.